Do you change positions a lot when you sleep? Looking for a pillow that will comfortably support you in every position? Then you’ve come to the right place! 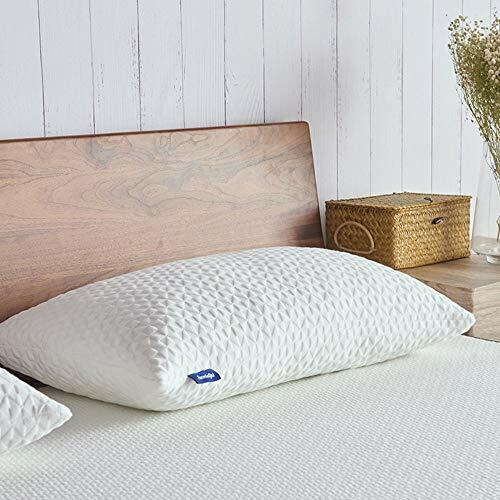 Our top pick for combination sleepers is the Pancake Adjustable Layer Pillow, which has multiple layers you can add or remove for a custom height. Our second favorite is the Coop Home Goods Adjustable Memory Foam Pillow, which is moldable and conforms to your head for comfort. While some people have one favorite sleeping position that they stay in for the whole night, others find it most comfortable to move around in their sleep. These people, also known as “combination sleepers” may switch between sleeping on their back, stomach, or side throughout the night. Since requirements for support and comfort varies for each sleep position, combination sleepers have a unique set of factors to think about when choosing a pillow. Below, we’ll go over our 7 favorite pillows for combination sleepers, followed by key factors to keep in mind before you buy. Hopefully, our thorough guide will save you some time when you’re shopping. The internet is full of endless information about pillows. We’ve made your life easier by rounding up the 7 best pillows for combination sleepers, categorized by different sleep needs. We included a variety of pillow types in our list, so read on to find the best one for you. 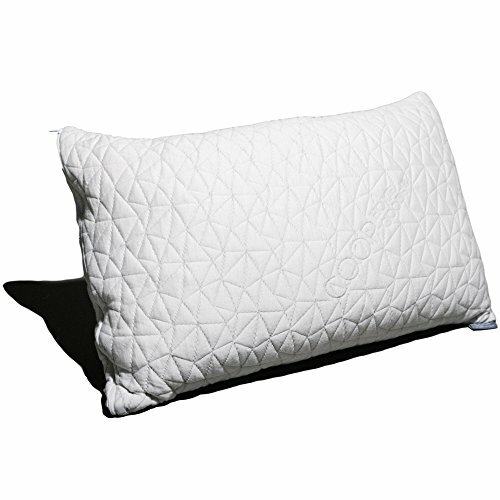 The Coop Home Goods Adjustable Memory Foam Pillow is a shredded memory foam product. Shredded foam pillows use many small pieces of foam instead of one piece. By using multiple shreds of foam in their design, pillow manufacturers create a softer, more moldable product that still has the pressure-relieving benefits of memory foam. The Coop Home Goods Adjustable Pillow allows you to add or remove filling to create the perfect firmness level for you. Due to this customizable feature, it’s a great option for combination sleepers. Shredded foam allows more air to flow through the pillow and keeps you at a comfortable sleep temperature, making it also great for hot sleepers. This pillow can be machine washed and comes with a 100-night return policy and five-year warranty for your protection. The Save&Soft Gel Pillow is a memory foam product that contours to your head and neck, allowing your muscles to relax. This pillow uses a breathable cover and cooling gel to help you rest comfortably instead of overheating. If you struggle with getting sweaty in the night, this could provide the solution you need. Memory foam is a good option for combination sleepers since it creates a cradling effect that should feel comfortable in any position. It comes with a zippered case that you can remove and wash by hand. When you purchase this product, you can choose either standard pillow size or a travel-friendly option, which is more compact. The Save&Soft Gel Pillow comes with a full satisfaction guarantee that allows you to get a refund if you’re dissatisfied with your purchase. 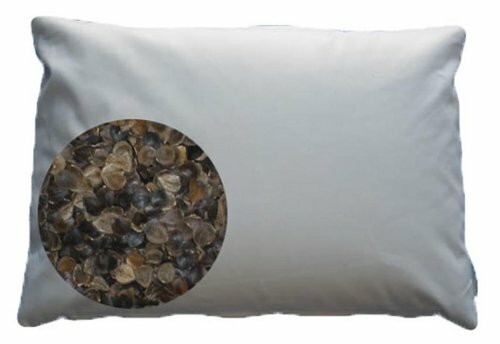 The Beans72 Organic Buckwheat Pillow is a great option for those looking for a firm pillow and uses organic buckwheat hulls and a comfortable cotton cover. Buckwheat hulls promote airflow, dispersing heat and keeping you cool while you sleep. If you’re sensitive to harsh chemicals, you’ll likely appreciate both the organic filling of this pillow and the fact that it uses unbleached fabric in its cover. The Beans72 Organic Buckwheat Pillow has been triple washed to get rid of dust and debris. You can add or remove some of the buckwheat hulls to create a customized firmness level that suits you. Note that buckwheat hulls are noisier than other pillow filling materials, which may disturb light sleepers. Warranty information isn’t listed on Amazon but you can get it by contacting the seller directly. The Fine Pillow is a synthetic down pillow that feels similar to real down with a plush design. Down alternative pillows may potentially help ease back or neck pain for combination sleepers since they have a comfortable feel and adapt to the curve of your head and neck. The Fine Pillow uses a 100 percent cotton cover with a breathable, soft design. This pillow will help you sleep cool as air moves easily through synthetic down, dispersing heat. It’s also easy to care for, as it can be machine washed and tumble dried. The Fine Pillow is made by a family-owned company that will give you an exchange or refund if you’re dissatisfied. To return it, you’ll need to do so within 30 days and also make sure you’ve tested the pillow out for at least 14 days. 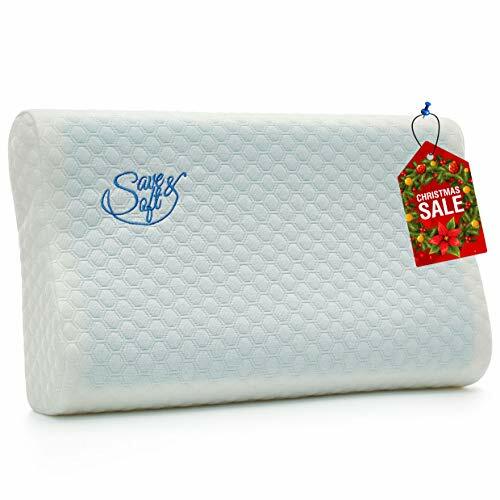 The Sweetnight Pillow is a gel foam product with adjustable filling that works comfortably in all sleep positions and helps sleepers stay cool by dispersing heat. Gel pillows are especially beneficial for hot sleepers, as they have cooling properties. The pillow contours to your head and neck, allowing your muscles to fully relax and reducing pressure. If you struggle with neck pain, this pillow could also help reduce tension. The breathable cover on the Sweetnight Pillow is made from cotton and rayon and has a zippered design, making it easy to remove for washing (by hand or in the washing machine). Note that this pillow comes compressed when you order it and may take a few days to expand to its original size. If you aren’t satisfied with the Sweetnight Gel Foam Pillow, you can return it and get a full refund. The Xtreme Comforts Hypoallergenic Pillow is an adjustable pillow that is made in the USA and comfortable for all sleep positions. It is a great option for combination sleepers with allergies because memory foam is naturally resistant to common allergens, like dust mites. It has an inner zipper which allows you to easily change the thickness of the pillow by adjusting the filling. The Xtreme Comforts Pillow uses shredded memory foam that won’t go flat or get lumpy. This product conforms comfortably to your neck and head, reducing pressure and potentially helping with pain or tension. 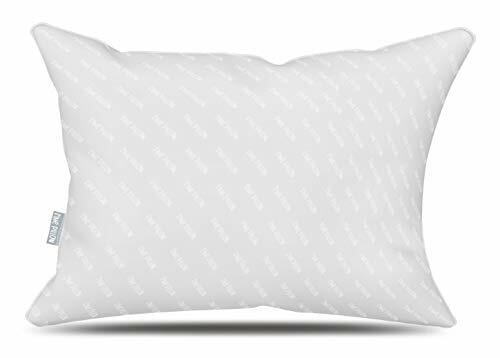 The shredded foam design allows you to easily mold the pillow to your liking and the cover on this pillow is breathable and soft. 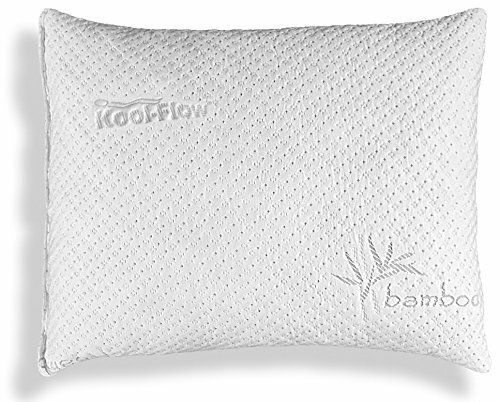 This machine-washable pillow is hypoallergenic and comes with a money back guarantee. If you don’t like the Xtreme Comforts Pillow, return it within 30 days to get your money back. 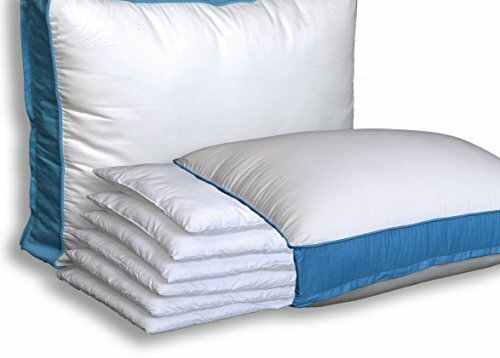 The Pancake Adjustable Layer Pillow has a unique design with six removable layers and zippered sides that make adjusting it easy and simple. This allows you to add or remove the layers until the pillow is the perfect height for you. The Pancake Pillow uses a soft, plush down alternative material, which is a good pick for people who like the feel of down but have a feather allergy. The right pillow thickness for you depends on your body type and shoulder width. People with wider shoulders, for example, should use a higher pillow to keep their head propped up and supported. An adjustable pillow like this could be a safe bet since you can change it to suit your needs. If you aren’t satisfied with your purchase, the Pancake Adjustable Layer Pillow can be returned within 30 days for a refund. Every combination sleeper is different. While some only change positions once in the night, others shift multiple times in the night, adjusting their pillow each time they move. Your Most Common Sleep Position – Although you shift positions while you sleep, you might have one position you favor over the others. If you can figure out which position you use most often, you can select a pillow that works best for that position. Back sleepers should use pillows of medium height that will prevent their head from tipping too far back. Side sleepers will also do well with medium pillows that fill the space between their shoulder and ear. Stomach sleepers should opt for a soft or low-profile pillow that will keep their head from pointing too far upward, which can lead to pain or tension. How Often You Switch Positions – Another thing to keep in mind as a combination sleeper is the frequency with which you change positions in your sleep. If you wake up a lot and adjust your pillow often throughout the night, you’ll want a moldable pillow that can be easily re-shaped to properly support you in every position. Using Additional Pillows – In some sleep positions, it may be helpful to use an extra pillow to cushion other parts of your body. Back sleepers might want to put a pillow under their knees for lumbar support, while stomach sleepers might want an extra pillow under their hips to prevent lower back pain. As a combination sleeper, remember to not only consider the pillow you’ll use to support your head but also any other pillows you might want to use. Your Mattress – While selecting a pillow is important, choosing the right mattress is even more essential. There are a variety of mattress types available on the market and each is well-suited for particular sleep needs and you should make sure you’re using the right one before you buy a new pillow. Memory foam mattresses are a good option for people who need cradling pressure relief and want to sink into their bed. Innerspring beds are a good choice for people who are carrying some extra weight or just want a firm core and a bouncy feel that makes it easy to switch positions on. Hybrid beds give sleepers the best of both worlds and combine coils and foam (or latex) to provide a plush comfort layer and a firm, bouncy core. Budget – Just like mattresses, pillows come in a wide price range. They can cost anywhere from $10 to a few hundred. Although you might be tempted to buy the cheapest option you can find, for a good quality product, you should probably spend at least $20. People who struggle with neck pain and are looking for a pillow to potentially help with it may want to spend even more, though. Warranty and Sleep Trial – A pillow is worth taking some time to select since it’s going to have a large impact on the quality of your sleep, overall. Since it might take a while to find the perfect pillow for you, check out the sleep trial period and return process of any potential candidates you’re looking at. Most options will come with a return policy that allows you to exchange or return the product within a certain time frame if you discover it’s not what you wanted. Smell – Since you’ll have your face up against it every night, the smell of your pillow is another factor worth considering. Memory foam can come with an off-gassing odor (chemical smell) that takes some time to fade. If you select a memory foam pillow that has a strong smell after you un-package it, leave it in a well-ventilated room for a couple days to help the odor dissipate. While strong odors aren’t as much of an issue with other pillow types, some may still come with a scent. Buckwheat pillows, for example, can have an earthy smell since they’re made with all-natural materials. People who are very sensitive to smells may be better off selecting synthetic down as this material doesn’t have a strong smell of any kind. Support – Pillow support refers to how well your pillow keeps your neck and spine in proper alignment while you sleep. Choosing a supportive pillow can help reduce or prevent neck or back pain, allowing you to wake up feeling refreshed. The support you should aim for depends on your preferences. Some will want a pillow that conforms to their neck or head (like memory foam) while others will want a firmer pillow that doesn’t create a sinking feeling, such as a buckwheat option. Others will want a plush pillow with a soft design, such as down or a down alternative. Durability – Durability is another factor to consider when you’re looking for the best pillow for combination sleepers. As you might have already guessed, more expensive pillows are usually made with higher-quality materials and will have a longer lifespan. Most good pillows will last for at least a few years, but proper maintenance will extend the life of your pillow. When you sleep, your saliva, skin cells, and natural oils will seep into the pillow. Using an additional cover or pillow protector can help prevent these substances from reaching the pillow. Taking this extra step can help your pillow degrade slower, so you can keep it for longer. Q: How often should I buy a new pillow? A: It’s hard to generalize about how often you should replace your pillow since this depends on the way you care for it and the quality of the product you select. The best way to tell when you need a new pillow is how you feel when you wake up. If you notice that your pillow is getting flat or is giving you a sore neck, it’s definitely time for an upgrade. Q: What’s the best pillow material for combination sleepers? A: The materials used in a pillow’s construction will drastically impact how the pillow feels and how well it supports your neck and head. While there isn’t one type of pillow that will work best for all combination sleepers, moldable or adjustable options will be your best bet. This can include down, synthetic down, or memory foam. These types of pillows are usually medium-loft, provide a decent level of responsiveness, and can be fluffed or compressed as needed. Q: How firm should my pillow be as a combination sleeper? A: Pillow firmness is impacted by a variety of factors, including the materials used in its construction and the amount of filling inside the pillow. Firmer pillows usually have more filling while softer pillows have less. 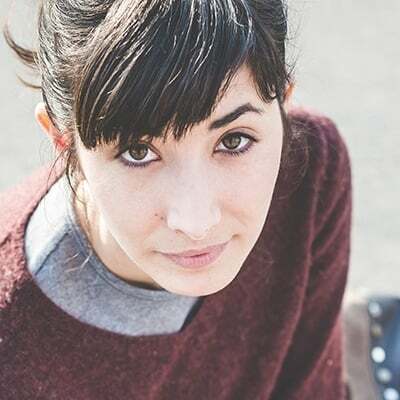 Again, there isn’t a specific level of firmness that will suit every combination sleeper. As a general rule, though, a medium-firm option will work for the most people, especially if it has adjustable filling that you can add or remove for a custom feel. Q: How often do I need to wash my pillows? A: You’ll need to wash your pillow covers more often than your pillows. You should wash your covers once every four weeks and your pillows every six months. Some types of pillows are washing machine-safe while others need to be washed by hand. To find out how to care for your pillows, make sure you check the instructions that come with them. Q: How long does it take to adapt to a new pillow? A: You might think that you only need to sleep on your pillow once to know whether it’s the right option for you. However, you should give yourself at least seven days before deciding whether it’s a good fit. It can take time for your body to adjust to new materials and waiting at least a week will ensure that you make the correct choice in either keeping or returning the pillow. As a combination sleeper, you’ll need a pillow made from either moldable materials that you can shape to your liking or an adjustable option that allows you to change the firmness or height of the pillow. Our favorite pillow for combination sleepers is the Pancake Adjustable Layer Pillow, which comes with six layers that you can adjust to find the perfect height.